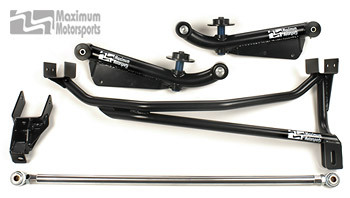 The Solid Axle Rear Grip Package includes the MM Panhard Bar and the MM Rear Lower Control Arms. The IRS Rear Grip Package versions found here contain various parts to tailor the rear suspension to your particular performance level. MM solid axle Rear Grip packages consist of the MM Panhard Bar and your choice of Heavy-Duty and Extreme-Duty Series Rear Lower Control Arms in both standard and adjustable ride height versions.